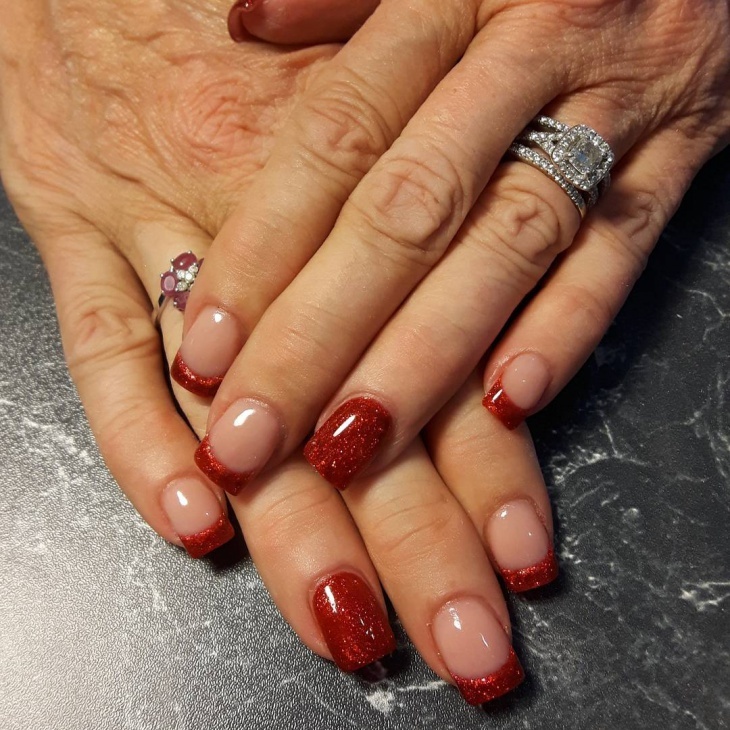 The very beautiful, the very charming and eccentric red nail designs are back in fashion again and this time it is back with a better, much escatic look that will only make you go ‘WOW’. 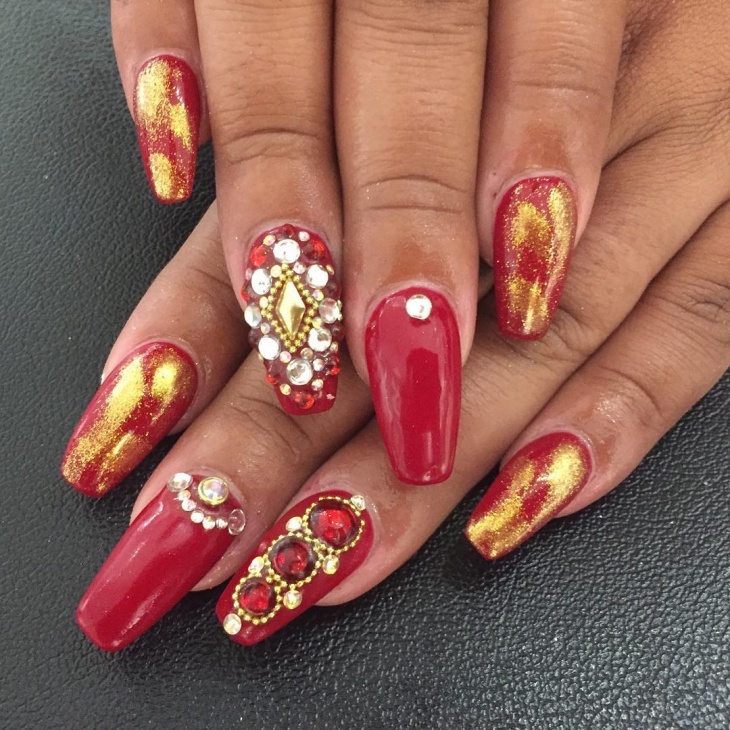 Red Nail Designs are an attention stealer, we have seen many actresses flaunt this design in movies and many award functions. 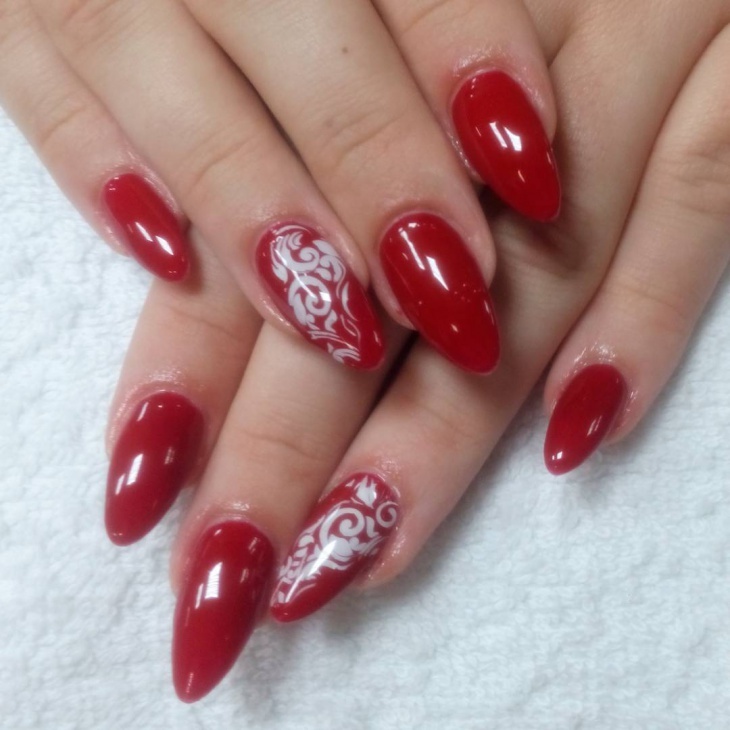 The red nail design has managed to enhance any dress and make it better than just pretty. Since it is back in fashion, we decided to look through some fashionable designs that you could try. Trust us on this, you are ought to look dazzling. 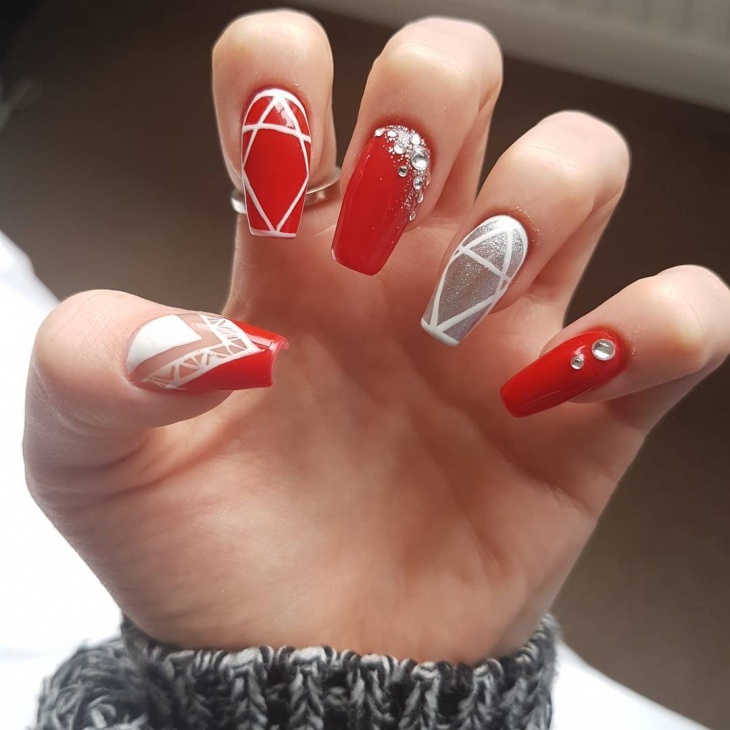 The Red Acrylic Nail Design isn’t easy to master. 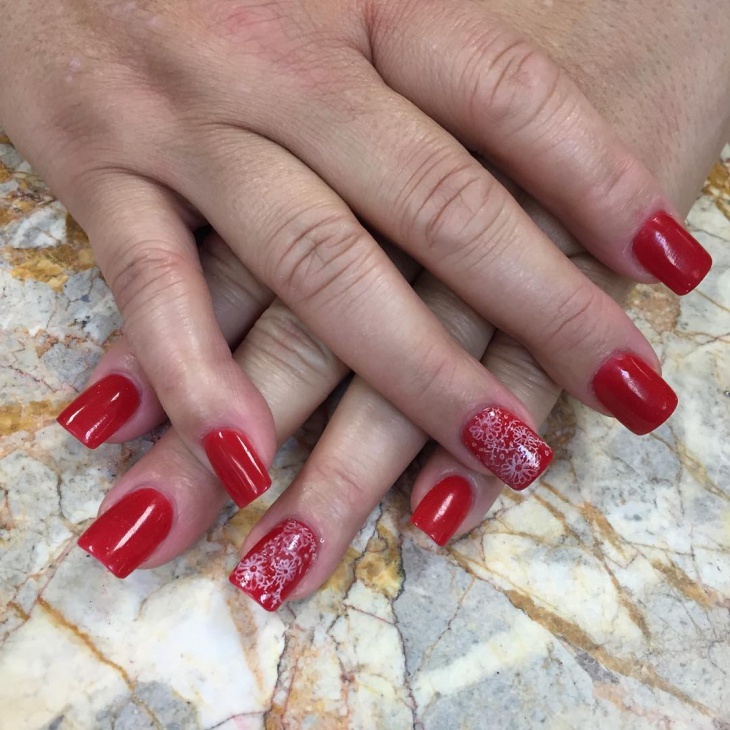 Paint all your nails red and in the nail of your choice you can add a tiny design using acrylic paint. This design needs to be delicately painted on but it will look extremely cute when it blends in. 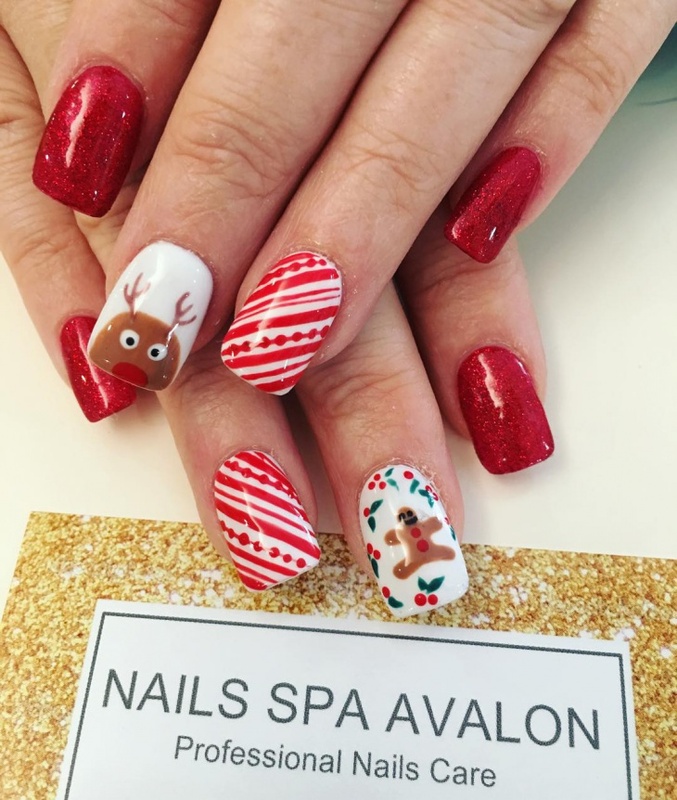 Pick two nails to be painted completely red and the other two where you put in the design, lay a foundation of white and colourless nail paint. With the white and colourless paint in the background, you can now deftly paint in your designs. 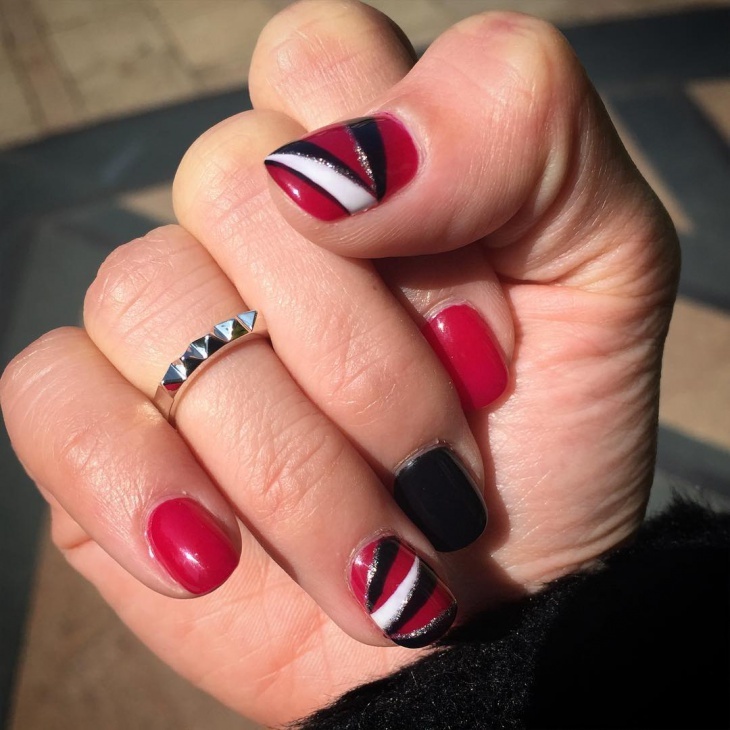 Dark Red Nail Art Design needs different shades of red to fuse in together to make a darkish hue of red. While it does have a polished look, it is more of a multi-coating of the same colour, all of which complement each other. 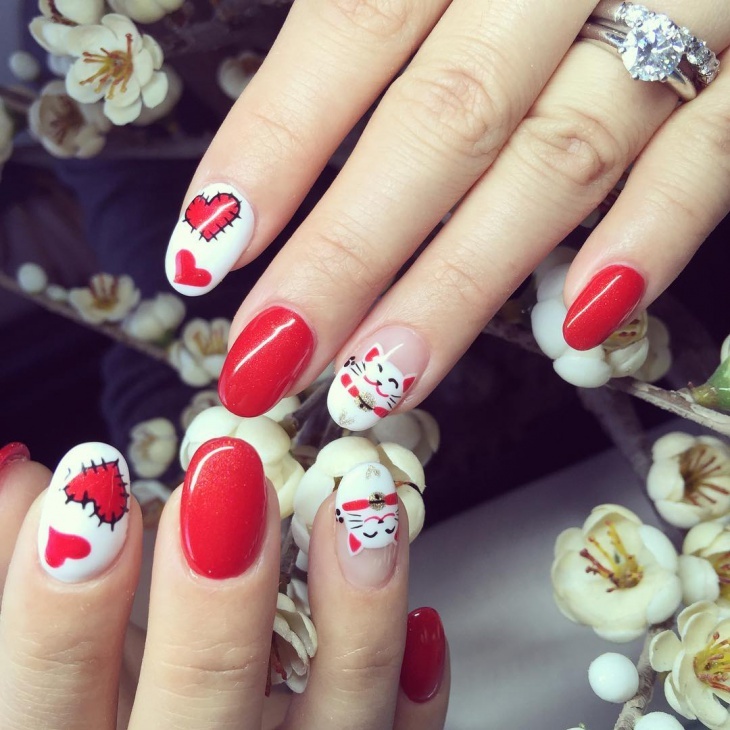 The Red Toe Nail Design is a popular choice of Nail Art. 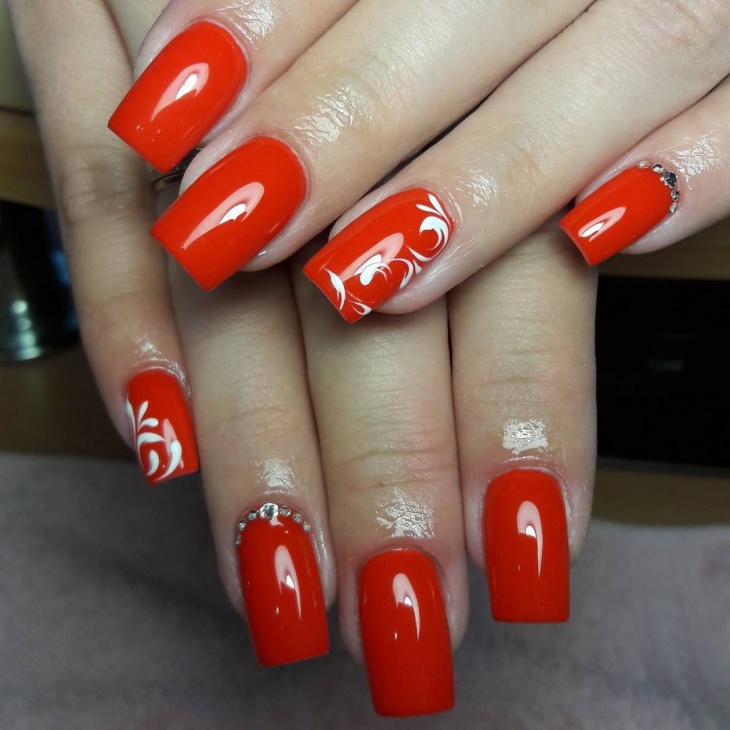 You only have to paint in the red in all the toes of your feet, and on the big toe, you can put in a flower design or any other cute design in the centre of the nail. You can put contrasting colours of sea green and white to make the design stand out. 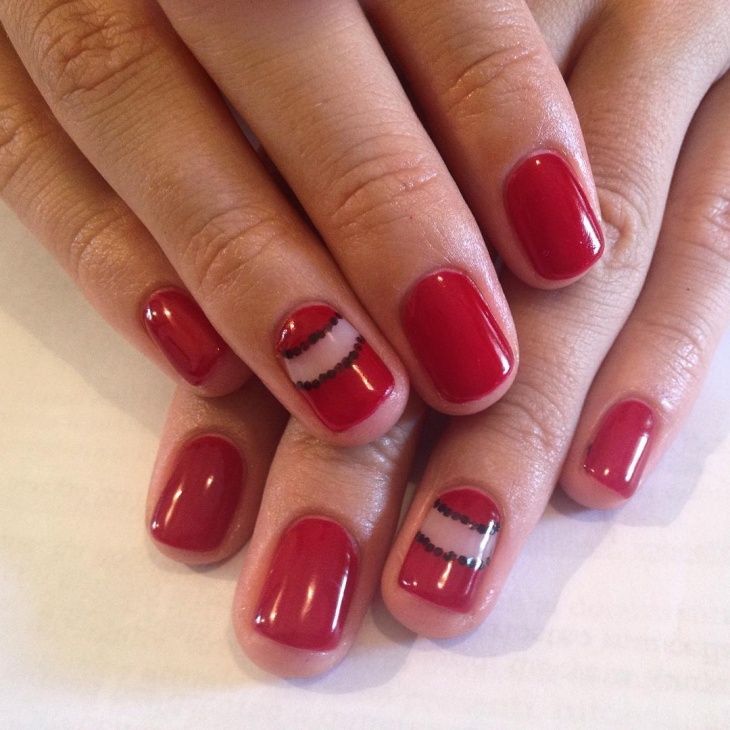 The Red Tip Nail Design is quite simple, requiring for you to fully paint one nail glossy red. The other nails just need a slight shade of the nail paint on the tips of the fingernails. While it may look easy it requires short square nails and they need to be shaped just in the right manner. 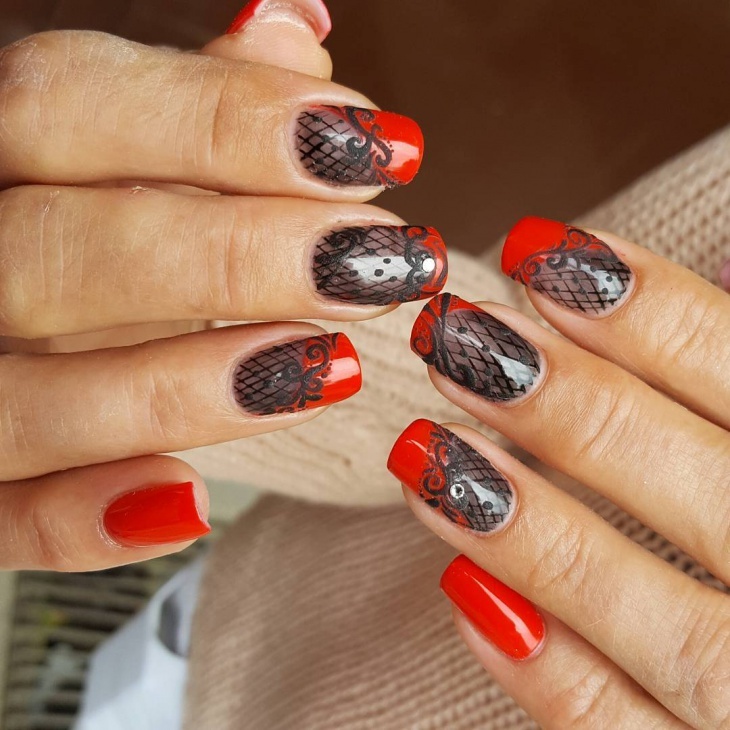 This Nail Design isn’t just cute, it screams hot and shiny. 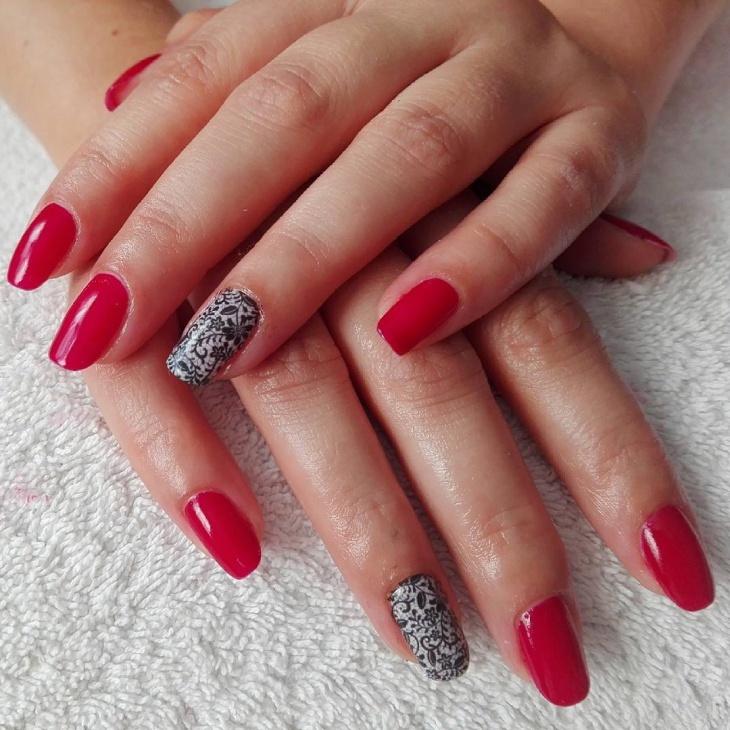 Red Gel Nail Colour needs to be painted on each of the nails as the base colour. Paint on a slight white in a couple of fingernails, and in the nails of your choice, you can actually put in tiny crystals at the bottom of the nail. 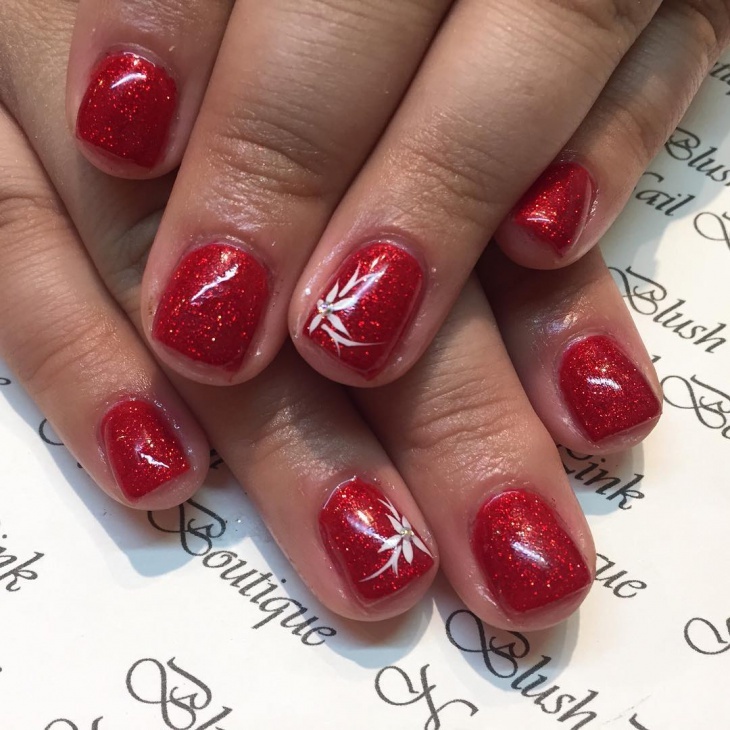 This is a simple Nail design that involves all the nails being painted a glittery bright red. 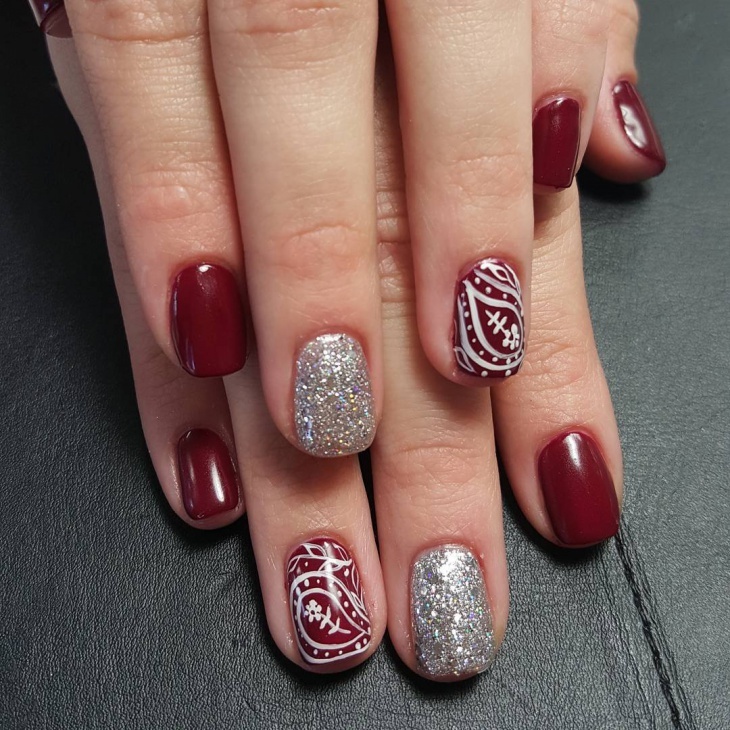 You cannot go wrong with this red and glitter combination. 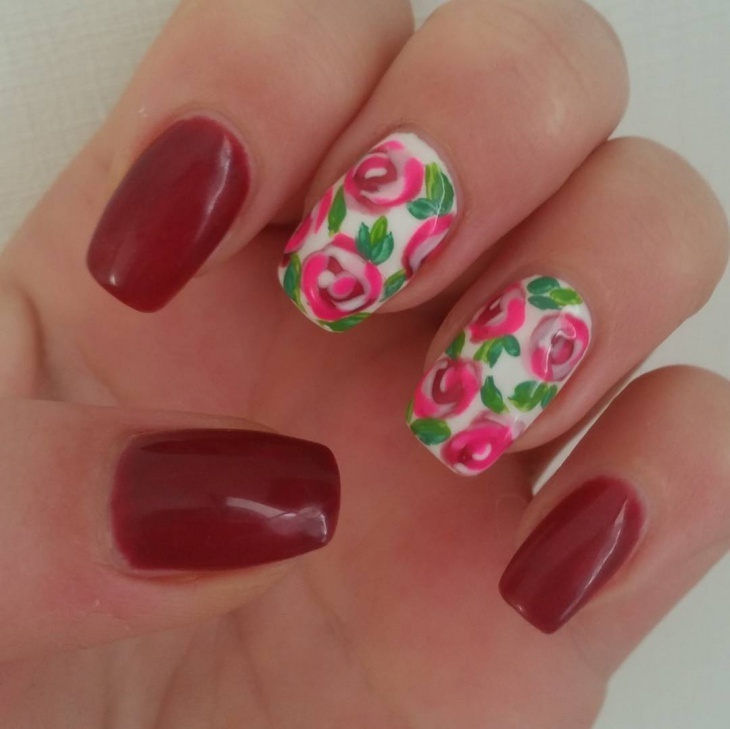 Choose one of your fingernails to paint in a flower, preferably of white colour. 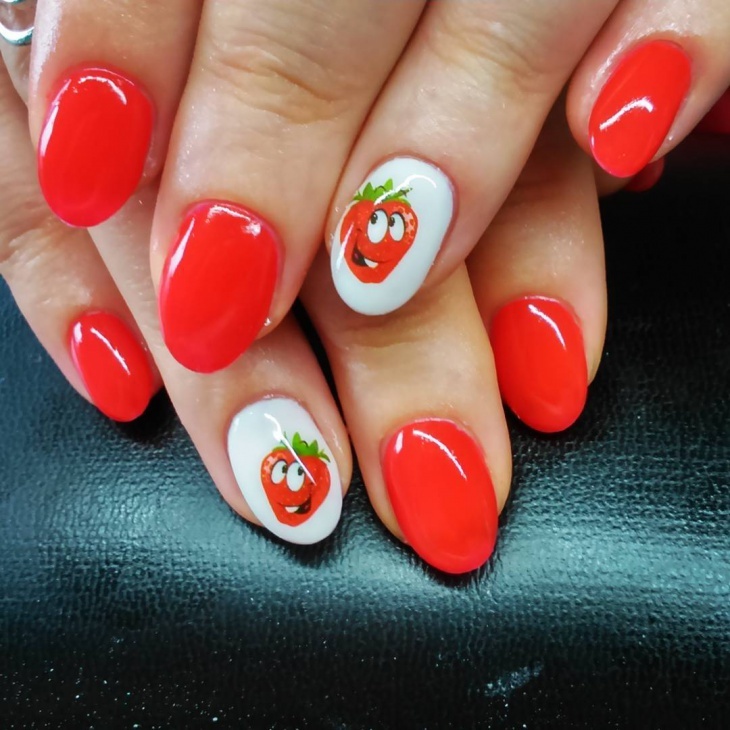 This Red Nail Design is of Strawberry design. You paint in the base colour of red and put in the green and white to resemble a strawberry. This can be done with a variety of combinations. You can put the leaves of the strawberry on the top or in the bottom corner. 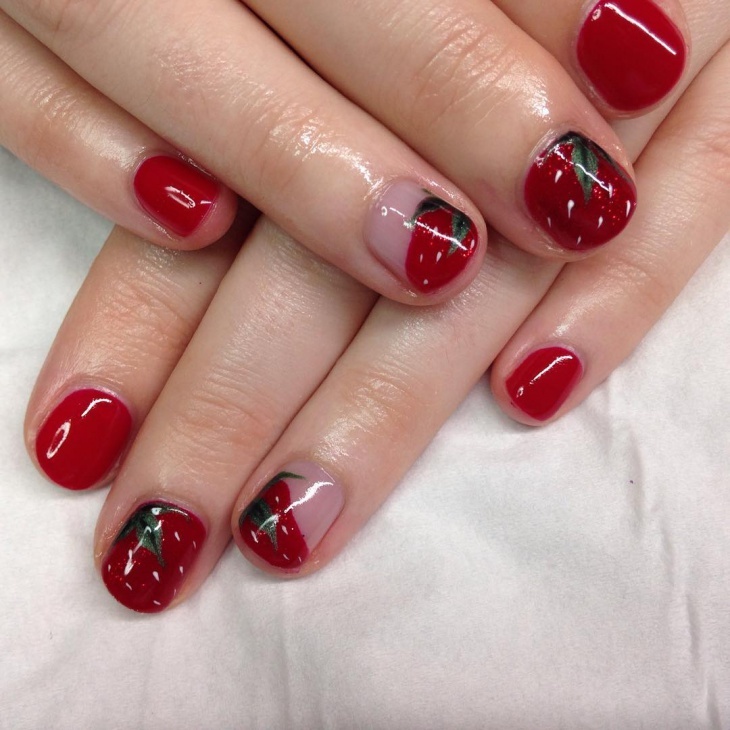 Nail Design and Nail Art is a growing trend. 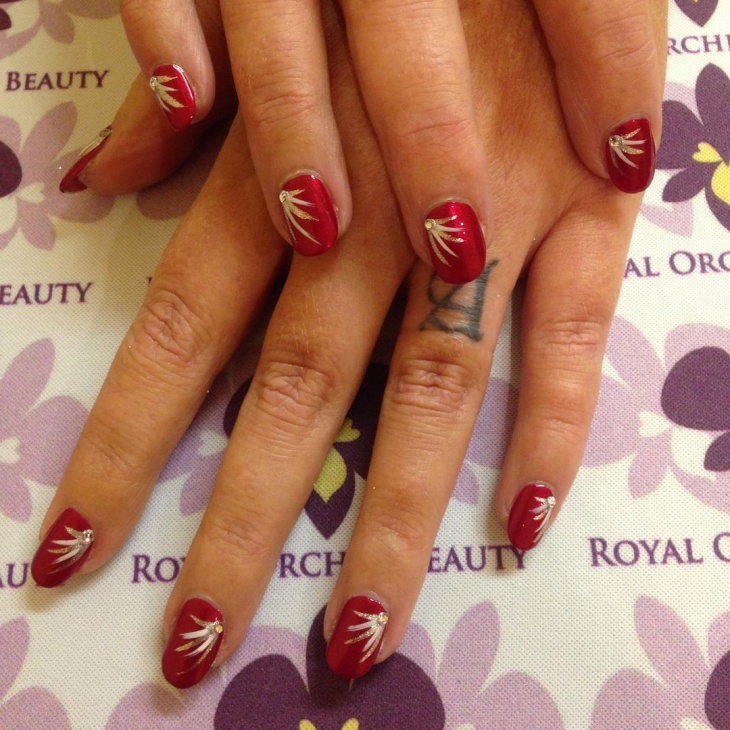 Red is one of the most universally loved colours and there is so much you could do with the colour in Nail Art. 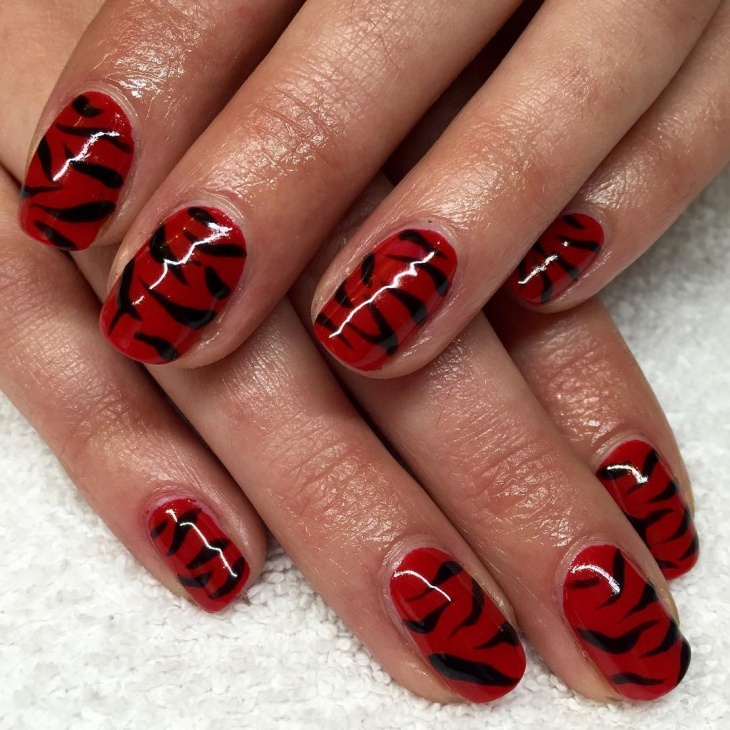 Hearts, roses and flowers are among the more famous designs, but the red zebra design is gaining popularity among the Nail Artists at the moment.